ELV note: There will be no food reviews or pithy commentary this week. Below are two posts about the recent Las Vegas massacre, one from me and one from my son, Hugh Alexander Curtas. My thoughts are more about a co-worker who was murdered; my son’s is a more measured, political/philosophical take on the tragedy. I hope you take the time to read them both and pass this on to others who might be interested. Five minutes after my wife and I drove past Mandalay Bay Hotel and Casino two nights ago, the worst mass murder in modern American history took place. If the windows had been down in our car, we probably would’ve heard the gun shots. As it was, we drove home from the airport and went to bed, oblivious to what had occurred behind us. 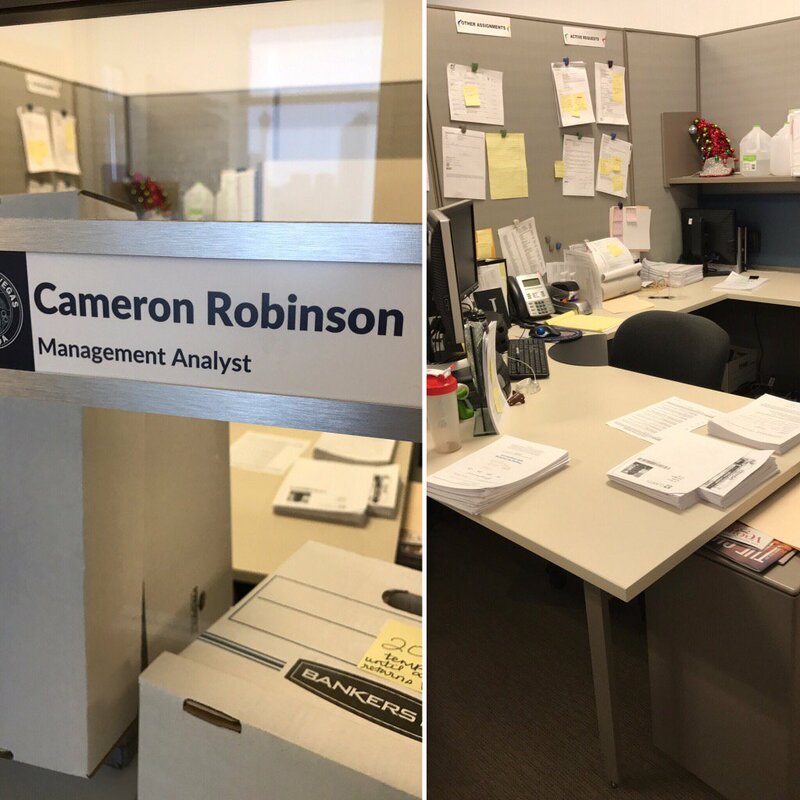 The next morning, as I was walking to work, my secretary texted me that Cameron Robinson, a management analyst in the City Attorneys office, had been killed. Cameron was shot in the neck, right beside his partner, as they were watching the concert. Bleeding profusely and screaming for help, somehow he was gotten to an ambulance, but it was too late. He died on the way to the hospital. Cameron was only twenty-eight, but he looked like he was sixteen. He was short, fit, and funny, and worried about his weight even though I don’t think he weighed 120 pounds soaking wet. He had a sly, shy sense of humor, and needless to say, everyone in the office loved him. I didn’t know him as well as most, but his office was right across from mine, and I could see him in there everyday, diligently working away, or, when he wasn’t doing that, keeping the secretaries in stitches. I used to steal M&Ms from him all the time, and he pretended not to notice. Once or twice I brought him something sweet as a partial payback, but my side of the candy ledger was always permanently in the red. There is nothing that can be done for Cameron Robinson. He was killed by a demented maniac utilizing weapons designed solely for the purpose of killing human beings. That these weapons are legal and (barely) regulated is to the everlasting shame of the American body politic. I won’t go on a polemic about guns or gun control (although I could), except to say that, in my lifetime, the idiotic, psycho-sexual attraction to firearms has trumped common sense at every turn when it comes to regulating what is, in essence, the most dangerous consumer product of them all. I went to bed Sunday thinking two people had been shot in my hometown of Las Vegas, Nevada. I didn’t give it much thought – active shooter situations are an almost daily occurrence in the U.S. In fact, 273 people have been killed in mass shootings in the U.S. in just the past 280 days, according to the Gun Violence Archive. I woke up yesterday to the aftermath of the unthinkable. As I write, almost 60 souls are known to have perished, with an almost inconceivable 515 additional people wounded. My city was massacred. I feel an excruciating sadness for the murdered. Friends-of-friends and acquaintances are among the dead – living, breathing human beings who will never again have an aspiration or a dream and will never again know the beauty and love of this world. My city is hung heavy with a pain it has never known. Make no mistake: This tragedy is the fault of the cowardly, ignoble excuse for a human being that pulled the triggers of those automatic weapons just as much as it is the fault of craven politicians and their gun-lobby overlords who have created the circumstances for a society that devalues human life by allowing weapons of mass destruction to be bought and sold with almost no regulation whatsoever. I’m a liberal, but I have no problem with guns. I was born and raised in the West. I respect that our Constitution provides an established legal right to own firearms. No person, politician, or organization will ever strip American citizens of the right to own guns – to think otherwise is rank ignorance. No one is coming for your guns. My problem is ultra-extended magazines, easy access to automatic weapons, lax oversight of the gun industry, spineless politicians, and a refusal to acknowledge gun violence as a scourge on our citizenry that could be greatly reduced with modest legal alterations. You should have no right to unlimited, unrestricted access to weapons of mass destruction, just as you have no right to unlimited free speech – when the public good outweighs the personal right, the public good prevails. Yes, I’m politicizing this issue. We must politicize this issue – the dead deserve no less. More specifically, we have not politicized this issue enough. More specifically still, we have failed to match the politicization of gun violence in our communities like the gun violence advocates have. No one wants innocent people to die, but when you stand in the way of protections for innocent Americans, the blood drips from your hands. We’re in this situation because of a large-scale, ultra-moneyed, decades-long lobbying effort by well-connected gun advocates (the NRA and their paid-for politicians). Their efforts have been strategic and effective and have stymied progress on gun violence prevention at every turn. Mass shootings are now an American pastime. Guns are tools. Without human intervention, they are harmless. But, in the same way the agency of the murderer turns an inanimate object into a killing machine, the methodical strategy of gun violence proponents prioritizing unlimited ownership of weapons and ammunition over the safety of our citizenry turns them from ambivalent bystanders into accomplices in these horrible crimes. It’s our government’s job to protect its citizens from danger and harm. Yes, there is room for debate about the efficacy of mental health services and how poverty and lack of opportunity makes normal people do insane things – violence is a complex issue with many intervening factors. But the paramount factor is our easy access to weapons of war. Vegas’ dead would still be alive if that lunatic couldn’t access multiple automatic weapons and unlimited ammunition. This massacre was preventable. Could not agree more. With both of you. My thoughts and prayers to all of you after this terrible tragedy. I was supposed to fly into Vegas Monday morning for a conference. I cancelled because it didn’t feel right to do business when the city was suffering. I also feel for the first responders who had to deal with all of this first hand. I love Las Vegas. There is no place like it in the world. Take care and I hope the community can heal from this and come back strong. I completely agree with both of of these essays. We need more people with the courage to make this stand. Thank you. Both of these articles have hit the mark. I am so sorry for all the losses and now I’m also incredibly sad that the world has lost someone like Cameron. We cannot keep ignoring the real reason behind these mass shootings, easy access to weapons NONE of us should have. I am a native Nevadan, now living elsewhere. Nevada will always be home and I will forever be a Rebel. Thank you both for your articulate essays. I agree with both of you. I worked for the city for many years, but I must have retired just before he came to work. Even so, I feel as if I have lost a member of my extended family. You are right. We can’t do anything for Cameron, but we can keep speaking up to try to get our legislators to put laws in place that limit individuals’ ability to do this to other human beings. That’s cute, Tom Peters, but please explain to me how the casualty count in this incident would have been the same if bump stocks, high capacity (over 10 round) magazines, and military-style rifles had been completely unavailable to the shooter. I’ll be waiting. I enjoy your blog for its dining reviews. The occasional political bloviating, not so much. But it’s your sandbox. How would you go on about making unavailable those weapons? Mass confiscations? Raiding peoples homes? How would you have made unavailable the truck that plowed through the crowd in Nice? Or the bomb at the Boston Marathon? Tom Peters. First of all, ELV was talking about gun deaths, not truck deaths, so that whole line of bull is just a distraction. Second, of course nobody believes any form of gun control will eliminate *all* gun deaths. It’s a canard to frame it that way. Let me ask equivalent questions of you on other issues. How would you go about making money counterfeiting plates unavailable? Raiding people’s homes? Same issue for any illegal property. If you have probable cause to believe someone owns property in violation of a law, any law, a prosecutor requests a search warrant to be served by law enforcement. But NOBODY here has suggested getting rid of all guns. I would be quite content with eliminating high capacity (over 10) round magazines and weapons that can be converted or adapted to automatic fire (including bump stocks) were outlawed. And, I’d be quite content to outlawing them now and expecting them to disappear in availability over time. Yes, that wouldn’t eliminate the approximately 2/3 of gun deaths that occur via handgun suicide, or those that are handgun-related domestic violence, but if such laws were in place two years ago, it almost certainly would have reduced the body count in the latest local incident without trampling on anyone’s right to have guns for legitimate purposes. Should we not require new vehicles to have seat belts and airbags just because they don’t eliminate ALL vehicle deaths? Of course not, that’s the most rank form of sophistry, nonetheless it’s what you present me with. I did read the article, I’m familiar with the arguments. They’re bad arguments, arguing that because we can’t come up with a perfect law that magically solves everything we shouldn’t pursue a good one that will reduce the damage done in the future in situations similar to the one we faced here. These straw man arguments typically only come from the most limited or intransigent minds. If you want to argue you just like the sorts of guns that nobody needs for self-defense and/or hunting, then that’s fine. But your arguments wouldn’t pass muster in a 6th grade debate, and I’m not going to let them pass without showing them to be as hollow as they really are. 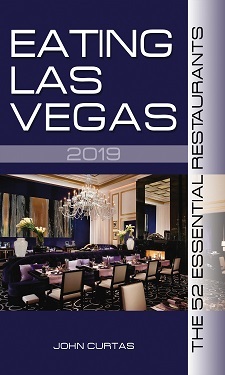 My wife and I had planned a trip to Las Vegas later this month, to celebrate our anniversary and to eat at the wonderful places that John and Alexandra will take us – as they always do. In the wake of the tragedy at Mandalay Bay, we wondered: “Is it appropriate to go when LV is still suffering?” Then we thought about it and realized that to stay away from LV would be the wrong response. LV needs visitors, just as NYC after 9/11 needed – and got – visitors to show the world that the evils of a gun-toting maniac will not stop us from living our lives tot he fullest. So, John, we are still coming.Of course, our joy and celebration will be tempered by what LV has endured. We will pay our respects to those that perished and were otherwise hurt. But LV will recover – it has to. And visitors must not stay away. We will be there with you, John, and we hope all who were thinking of a trip to LV will not change their minds. But in the pleasures that LV has to offer, take a moment – more than just one – to think of how precious life is and how easily it can be taken away from us. And John – your comments and Hugh’s comments are spot on. why do you have to be offensive? Do you posses a superior mind? Handguns and hunting rifles should be allowed in society. Military grade automatic weapons have zero place-ever-in civil society and their elimination would drastically reduce the appeal and potential success of mass murder to those who commit mass murder. ELV responds: It’s always amusing when someone complains about our “political bloviating” as we have, perhaps, filed 2 or 3 other posts in 10 years about ANYTHING political. (I also get complaints from folks when I post the occasional travel/food article, along the lines of “I come to this blog to read about Las Vegas restaurants, not anything else.” To them (and to High Roller) I can only say, “You get what you pay for!” I’m also tempted to tell them to shut the f*ck up and go read Eater, the R-J and all those other titans of gastronomy reporting on the Vegas food scene. But I’m too much of a gentleman to say so.